As both a counselor and an advocate, Kathleen works hard to help clients navigate legal issues and achieve positive outcomes. Kathleen Berney is a business and employment litigator who works efficiently and effectively to help clients resolve their most challenging issues. Both in and out of the courtroom, Kathleen draws upon her experience as in-house counsel at a large corporation to help clients avoid or remediate problems or risks. When necessary, Kathleen partners with clients to tailor pragmatic solution-focused litigation strategies. Kathleen leverages her experience as a judicial law clerk for the Massachusetts Appeals Court to offer top-notch advocacy to clients. Kathleen’s practice includes advising and representing clients in business litigation and labor and employment issues, including wage and hour claims, non-competition law, and defense of companies against False Claims Act and whistleblower claims. Kathleen has experience conducting internal investigations, as well as representing companies in government and administrative agency investigations. Kathleen also counsels clients to develop customized compliance systems, including policies and internal control procedures. Years leading up to becoming an attorney, Kathleen was a small business owner and a devoted litigation professional at law firms and Fortune 100 corporations where she gained broad exposure to business litigation, IP litigation, internal investigations, compliance, e-discovery, labor and employment issues, and government contracts. 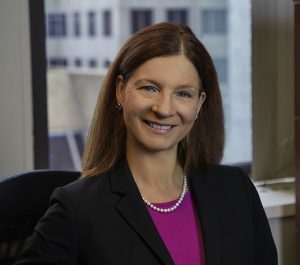 After earning her JD, Kathleen worked as Litigation Counsel within the Office of General Counsel at Raytheon Company, where she represented the company in a broad array of matters, including: business litigation, internal investigations, issues related to government contracts, and compliance with government agencies. Kathleen served as a judicial law clerk to the Honorable Justice Peter Sacks of the Massachusetts Appeals Court for the 2017-2018 court term. When not advocating for clients, Kathleen loves spending time with her husband (a professional trumpet player), their two boys, and their yellow lab, Lizzie. 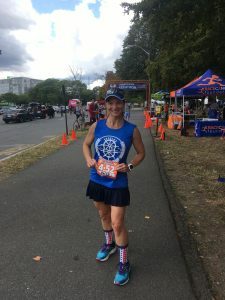 She is also an avid runner and triathlete.